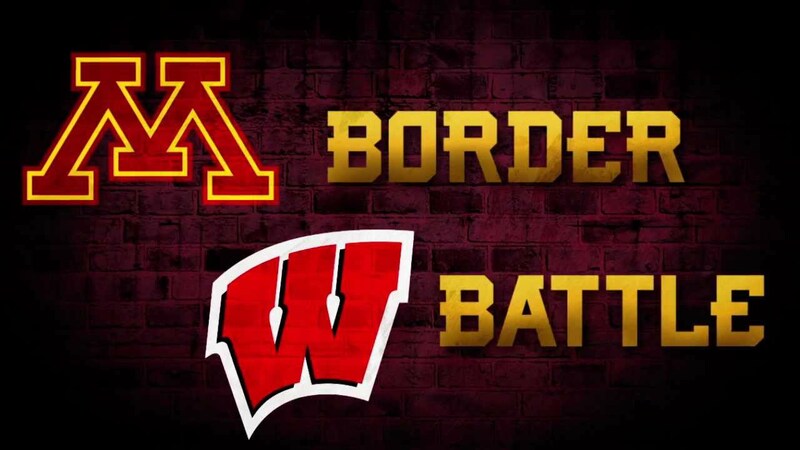 The Minnesota Golden Gophers host the Wisconsin Badgers this weekend at Mariucci Arena in Minneapolis. 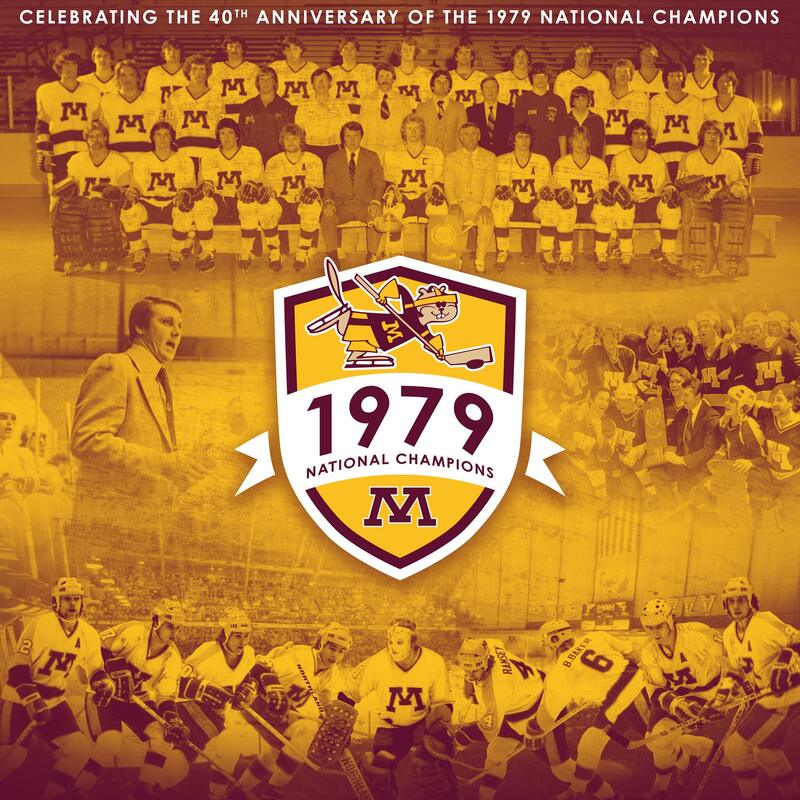 The Gophers will be celebrating their 1979 National Championship team on its 40th anniversary. Herb Brooks may be gone, but former players will be honored, and can no doubt be found wandering the rink’s concourse before games and during intermission. The Gophers defeated North Dakota 4-3 in the title game in Detroit. They had three 70 point scorers on the team: Steve Christoff (77), Don Micheletti (72), and Neal Broten (71). Captain Bill Baker set a program record that year with 54 points from the blue line. Eight members of the 1978-79 Gopher hockey team would join Coach Herb Brooks at the 1980 Winter Olympics. Prices at the concession stands are said to be at 1979 prices for Saturday’s game. 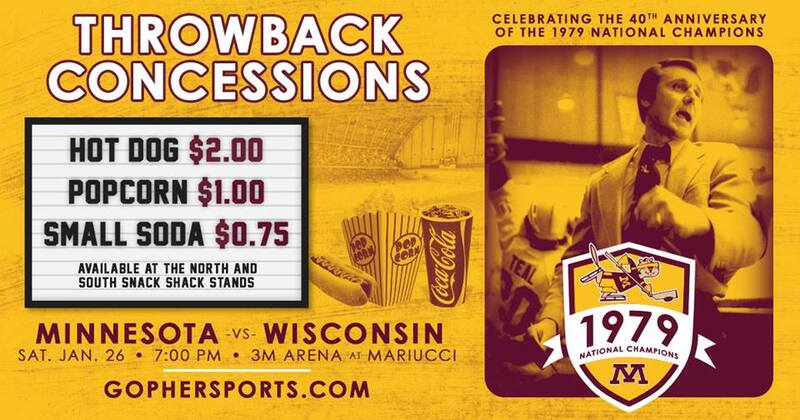 Which makes me ask: Were they really charging $2.00 for a hotdog at the hockey end of Williams Arena back in 1979? A program note: All University of Minnesota home games will be free to Federal employees & one guest, from now until the government shutdown ends. 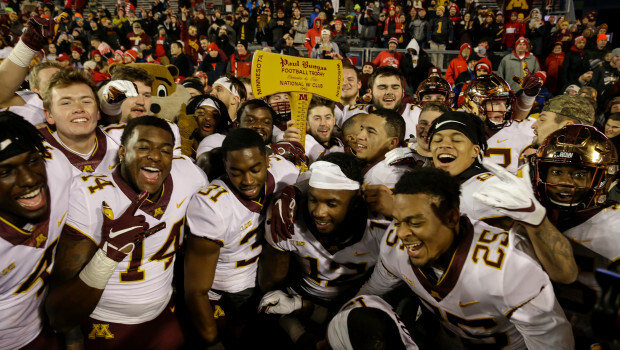 The Minnesota/Wisconsin rivalry is the most played in FBS football. They first met in Minneapolis in 1890, with Minnesota winning 63-0. On Saturday, the two teams met up for the 128th time. On the line, just like every year since 1948, was Paul Bunyan’s Axe. With a solid win at Camp Randall Stadium in Madison, The Axe returns to the University of Minnesota campus for the first time since 2003. The overall record between the two teams in the border rivalry is 60-60-8. 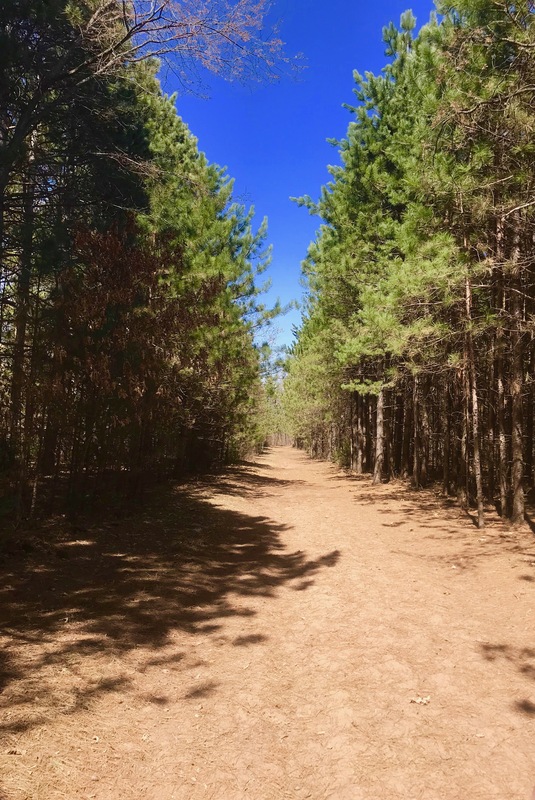 When I was back in Minnesota, I took three kids, ages 11, 13 & 14, camping out to Wild River State Park, which lies along the St Croix River, on the Minnesota side. We had beautiful weather, but it did drop down to the low thirties at night. We did a lot of hiking, the kids may say that I made them do a lot of hiking, either way… that was the point of getting out. The wildlife was out enjoying the sunshine too, as we spotted turkeys, deer, ruffed grouse, hawks, eagles and plenty of ducks, geese & loons. The kids learned the different croaks of three species of frogs, including the wood frog, which is Alaska’s only frog. They also learned several bird calls. We also did some geocaching, even though an exasperated 11 year old, found that entire endeavor, a complete waste of time. With three kids, a campfire was mandatory. S’mores, and roasted hotdogs were part of the menu, but I was greatly amused by the kids’ willingness to try out several dried food choices. The freeze dried mac & cheese was a disappointment, the chili a 50/50 deal, and the spaghetti being the overwhelming winner. I think it is safe to say that my type of camping was a new experience, and this was as close to “glamping” as this wandering Alaskan ever gets. My favorite question of the weekend was: “How do you boil water without a microwave?” I was left speechless. 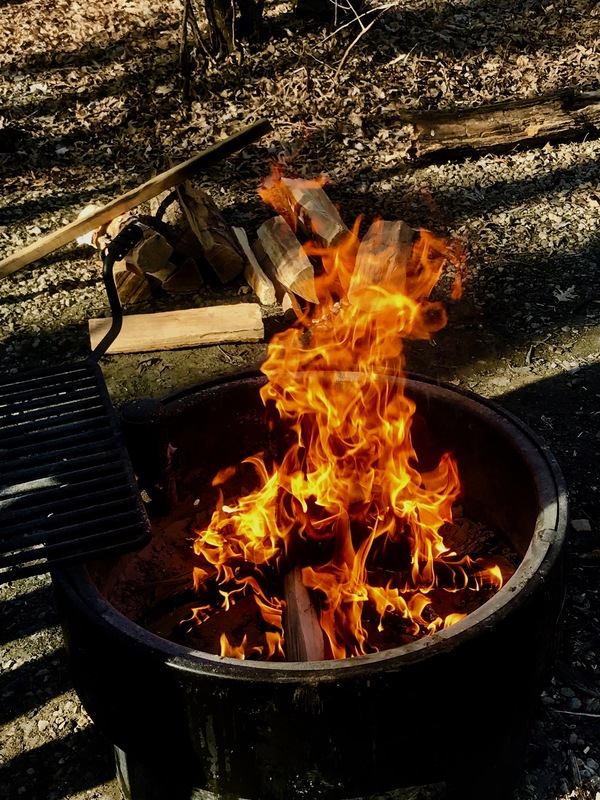 I had picked up a used Coleman stove and lantern, thinking that this would not be the only camping trip I took the kids on. Coleman camping gear is about as bullet proof as gear gets, and the used gear can be picked up at some very reasonable prices. I bought the gear from a guy who had at least a dozen stoves to choose from, and over twenty lanterns! Coleman hoarding? Pressurizing the stove, I kept getting asked, “Why isn’t it turning on? What’s taking so long? Is it broken?” Alas, I may have taken them out too late. It took some explaining, and I thought I was making progress, but the same questions followed the lantern lighting. 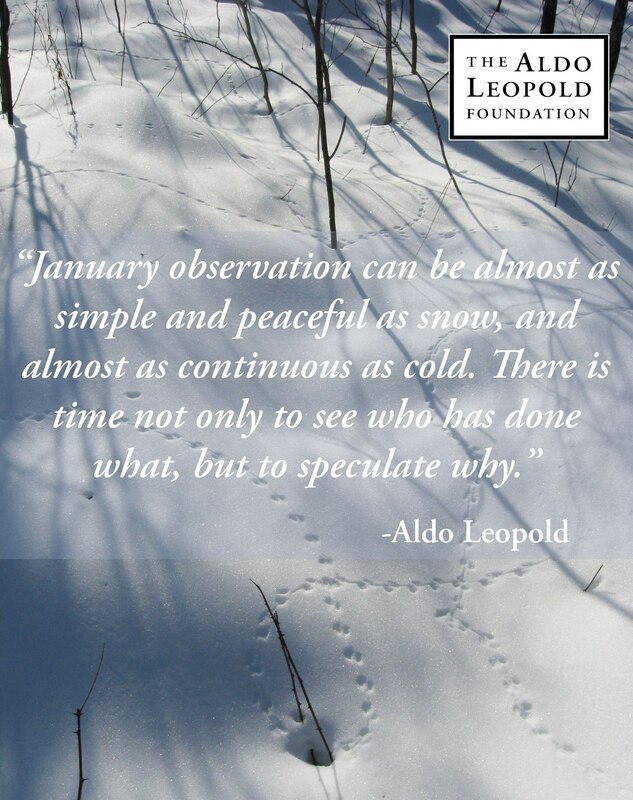 My responses were simple, yet widely ignored: “Quiet. Watch the whole process. No, it’s not broken. If the three of you stopped talking at once, you might learn something. It’s the same as the stove. What do you mean you forgot how the stove lit?” In the end, they received a couple of new experiences, if nothing else. 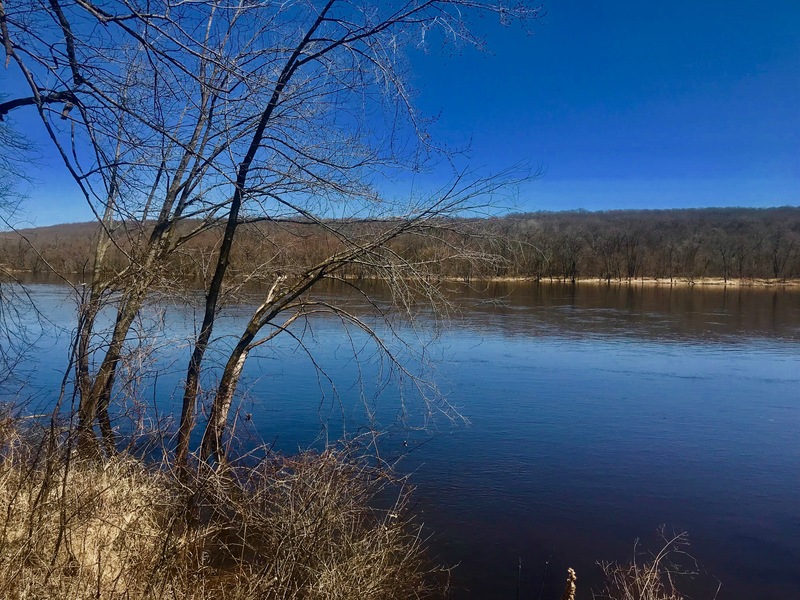 Designated a National Scenic Riverway, The St Croix River is one of the original rivers to be protected under the National Wild and Scenic Rivers Act of 1968. 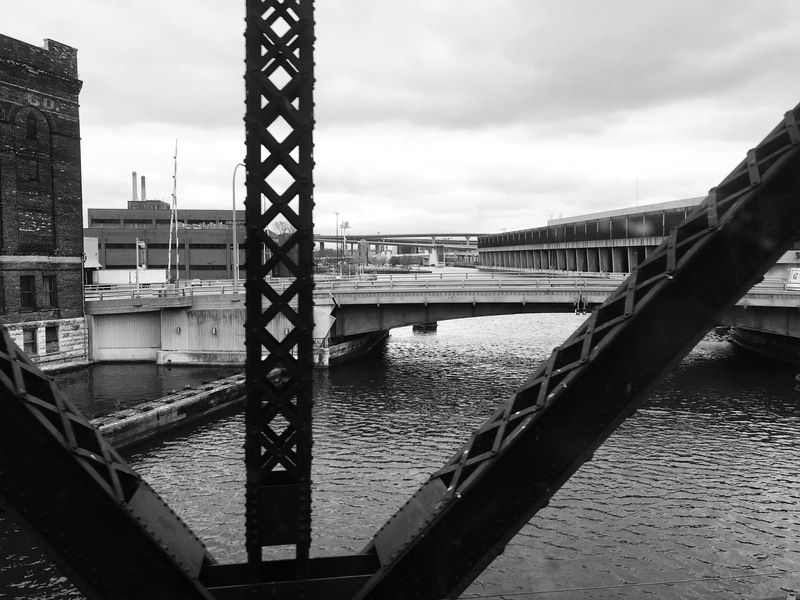 The St Croix is 169 miles long, and it’s final 125 miles forms the boundary between Minnesota & Wisconsin. It really is a beautiful river, and would well be worth the time to float. When we were there, the river was over the flood stage, after the area received the ridiculous April blizzard, which dumped 18″ or so of vile snow. Fishing had opened on the river, but with the high water, it was near impossible for the kids to fish from the bank. Shrubs and small trees which would have been behind you, were now under water in front of you. Snags were commonplace, and I had to wade in to untangle lures on occasion. Overall, a great little park, with a beautiful setting. 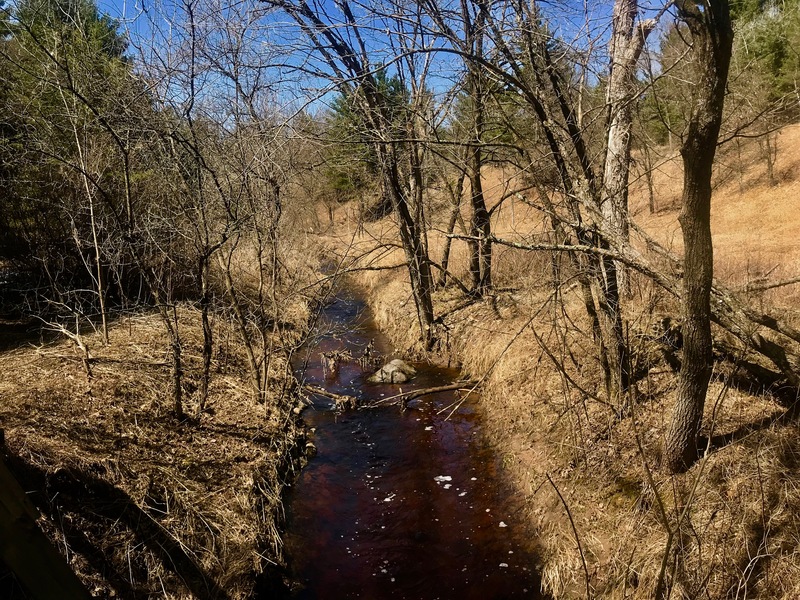 Lots of wildlife, trails and most important: 18 miles of the St Croix. The University of Minnesota Golden Gopher hockey team took on The Wisconsin Badgers this weekend in Madison. It was the 3000th game in the program’s history since 1921. The first intercollegiate hockey game was played in 1895 at the University of Minnesota, but the program gained varsity status in 1921. 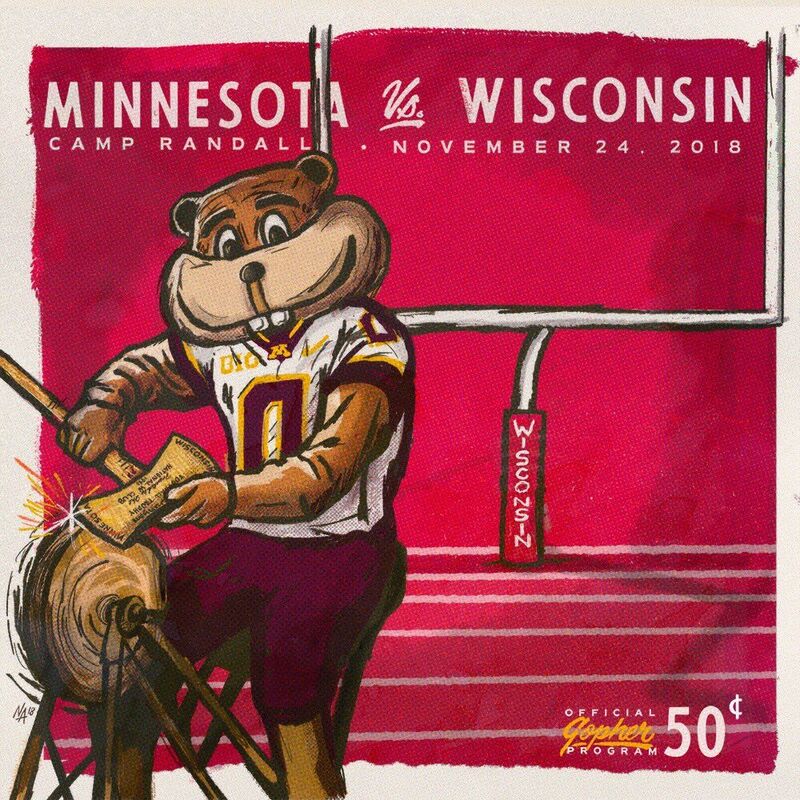 Minnesota would sweep Wisconsin this past weekend. On Saturday, 15,359 fans watched Minnesota get the sweep, with a 7-1 win at the Kohl Center. Glad to see so many fans pack the Kohl to see Minnesota play #3000. It was also senior night for the Badgers. Minnesota first played Wisconsin in 1922; Michigan in 1923; Notre Dame in 1925 and the rivalry with North Dakota started in 1930. 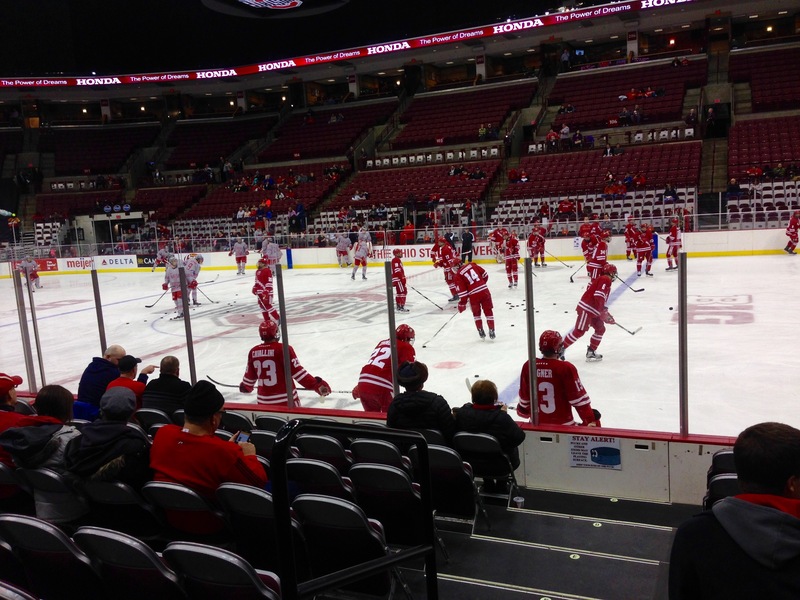 I returned to the site of the 2005 Frozen Four, the Value City Arena inside the Jerome Schottenstein Center, at The Ohio State University, in the middle of Columbus, Ohio. Whew! That’s a lot to plug in an opening sentence. 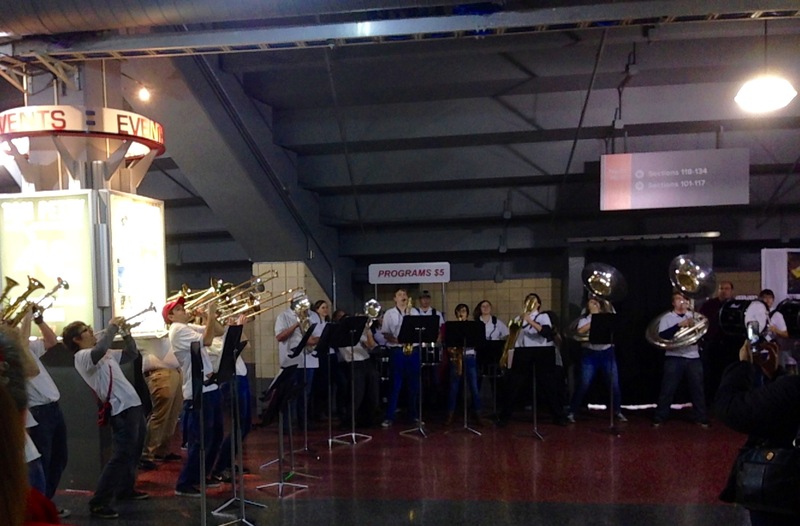 The OSU Pep Band was there to greet me as I came through the front door. Very considerate, as I had driven a long way to attend. There is a lot of sports history at OSU, and all sports are represented on the banner that runs along both sides of the walkway around the rink, or court, depending on who is playing. 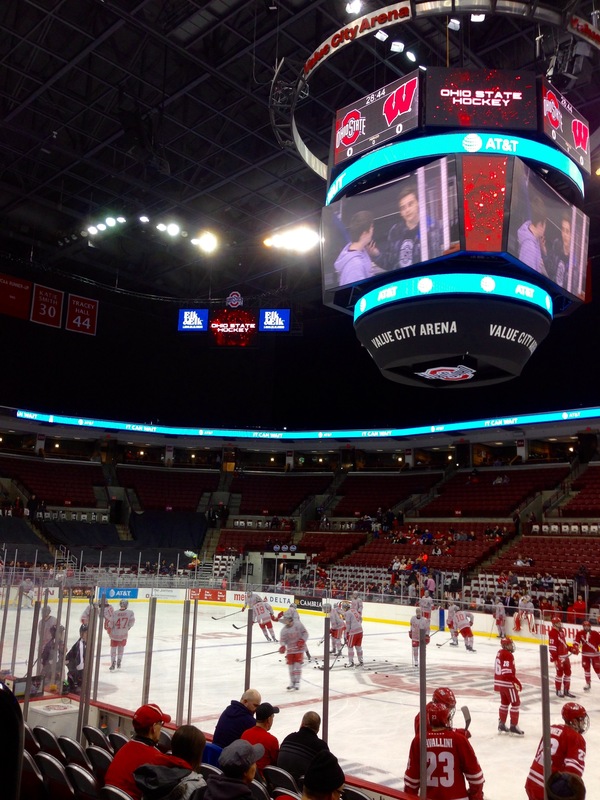 But, we are back to hockey, as the Wisconsin Badgers took on the Ohio State Buckeyes on the ice. The Schott is a nice venue, but I wouldn’t say it’s all that and a bag of chips for hockey. The first eight rows are temporary seating, where the rows rise slowly, putting everyone farther away from the action than should be. It’s a big venue, with over 17,000 seats for hockey, but the upper bowl is blocked off by black sheets, and even the seats at one end of the ice received the black sheet treatment. 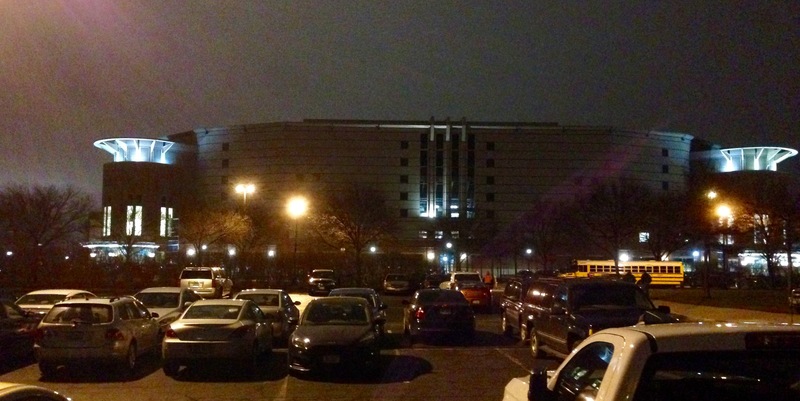 For all of Ohio State’s rich athletic history, hockey still remains an afterthought on campus. The Badgers would draw first blood, but they should not have. Ohio State was on the power play, and had a flurry in front of the Wisconsin net, Jack Berry made several saves, but seemed to lose sight of the puck in the melee. Somehow, the Badgers gained control, and Luke Kunin (of course) scored a nice short handed goal at the other end with one second left on the power play. Matthew Freytag would score before the period was over, only his second goal of the year, for a 2-0 Badger lead. Ohio State scored the only goal of the second period, with an absolutely beautiful pass out of the corner by Mason Jobst to Matthew Weis, who was right in front of the net. 2-1 Badgers after two. Ohio State did finally step things up in the third period, but Berry was up to the task and didn’t allow another puck to get past him. A lot of bad blood out there between the two squads. From early in the first period, the two teams were throwing punches, and there were constant skirmishes, often away from the puck. Ryan Wagner finished up the scoring with an empty net goal for Wisconsin, which was assisted by Kunin. Giving Kunin a two point night. Berry finished with 26 saves for Wisconsin, and Christian Frey had 22 for OSU.